People who never used to eat ready meals are eating our food because it is has homemade quality. Organic, Natural taste, guilt free, Premium grab and go solution - ideal for surviving a city's busy life. Our food comes from authentic Greek culinary culture that is famous for its great taste. 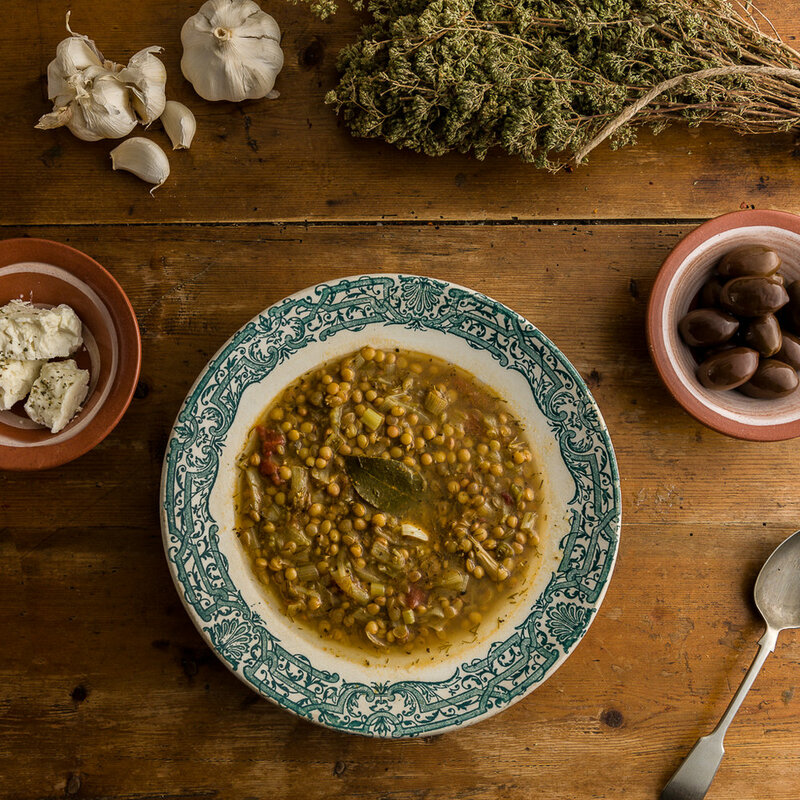 We use exclusively organic pulses from Greece which are super tasty because they are grown in ideal microclimate conditions. We choose to use only organic, locally sourced vegetables for better taste, increased amount of nutrients and respect for mother nature. The Extra Virgin Greek Olive Oil, delicious Mediterranean Spices and Aegean Sea salt also play a big role in our great taste. The ultimate truth is that these are recipes passed on through generations of Greek grandmothers and not created in laboratories and I am sure you can taste the difference. Pulses are very low in fat, packed with protein, fibre, vitamins and minerals. They induce brain activity and keep us full for longer, offering long lasting energy. With zero cholesterol and a low glycemic index, pulses are suitable for people who want to control their weight, as well as decrease their risk of cancer and heart disease. We revisit traditional Greek recipes from a modern nutritional perspective and we discover how wisely all the ingredients have been combined with each other. We refine them to aid digestion and to help our bodies absorb all the nutrients. We add the Extra Virgin Olive Oil and Fresh Lemon Juice at the end of the cooking process to maintain the nutrients and add Turmeric and Black Pepper to boost the antioxidants. These are only a few of the things we do in order to ensure the food tastes good and that it keeps everyone happy and healthy. Pulses are the most sustainable crop in the history of food, and have played an important role in the preservation of humanity and in civilisation growth throughout history. With the highest protein content in the plant kingdom, pulses also have an important role in our future. Packing our food in plastic just didn't feel right. Instead, we use a unique, fully compostable and GM-free material made of plants, fully certified by the UK's main Organic Certifier: Soil Association. Microbes, heat and moisture will break all Gaia Pulses pots down in less than 18 weeks. The resulting compost will retain nutrients vital for healthy soils. Just make sure you dispose them correctly in compost bins. Plastic is a great material for certain uses, but we cannot continue to use plastic containers that will last for 300 years for a meal or a drink that we consume in 10 minutes. want to know more? - Great. Find out more about the remarkable power of pulses and their health benefits! Find out more about our delicious, nutritious and sustainable ready meals!